NCCC is a partnership between the Indiana Fine Arts Academy and Union Chapel UMC. The goal is to provide an engaging, diverse, and affordable vocal opportunity on the Northside of Indianapolis. Each participant will receive a solid foundation in vocal production beginning with breath control, vowel placement, ear training, music theory and ensemble singing. Each hour long rehearsal includes private coaching as well as choral singing experiences. Choir members will be engaged in fun games and exercises that will develop their skills in breath, pitch, tone and rhythm. 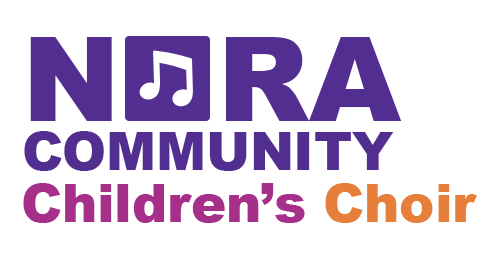 This choir is open for children age 4 through 15. This choir runs as a cooperative. As a result, the costs are low as each family assumes a job for the running of the organization. The director has a list of committees and roles for the year that includes marketing, fundraising, uniforms, room helpers, communications, etc. The cost per child is $10 per month or $60 per year. Families with multiple children are capped at $20 per month or $120 per year. Financial assistance is available if needed. Each participant will need to purchase the NCCC uniform shirt. Rehearsal Times: Ages 4-8 4:00—5:00 p.m. The choir season will run from Sunday, September 9, 2018 - May 5, 2019. Additional optional performances will be added. Is the student involved in any other musical activities? (Private lessons, school choir, musical theater, etc.) Please note that additional experience is not required for participation. Please list any languages (besides English) spoken at home. Thanks for your submission. We will be in contact soon with further details and registration information.